Located in the southeastern part of Australia, Victoria is a state that offers a variety of unique attractions for its visitors. Take a stroll along the beach or dine in a beautiful restaurant. Visit the unique shopping districts or take in the natural beauty by sailing a traditional Australian houseboats down the Murray River. In this post we will explore all the must-visit top attractions in Victoria, Australia. 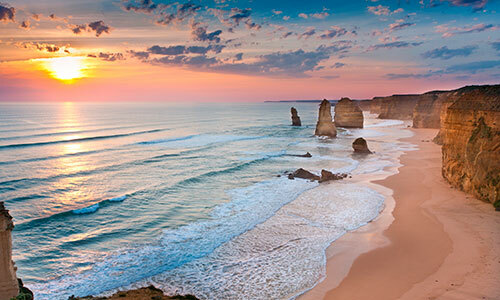 One of the most iconic attractions in Australia is the Twelve Apostles rock formation. The impressive sight is located near the towns of Princetown and Port Campbell and truly is a delight for the eyes. This destination can be reached by car. Alternatively, you can rent an helicopter and get a birds eye view of the Apostles from above. In our opinion the best way to take advantage of the scenery is by renting a boat. Anchor next to the Twelve Apostles and experience a magical sunset next to the impressive natural formations. This capital city has it all; food and drink, sport and shopping, sea life and nature. Take a sailing trip down the coast and experience the true beauty of the city in the best way possible. For all the animal lovers out there do not miss Melbourne zoo with over 5000 animals between the zoo and the aquarium. These attractions allow you to see and appreciate the wildlife diversity that Australia offers. The city is filled with quirky alley ways, hidden shops, indie theatres so it certainly earns its reputation as one of the main cultural hubs in the world. If you are a tennis fan, you will be pleased to hear that one of the biggest tennis tournaments in the world takes place in Melbourne every year at the end of June. 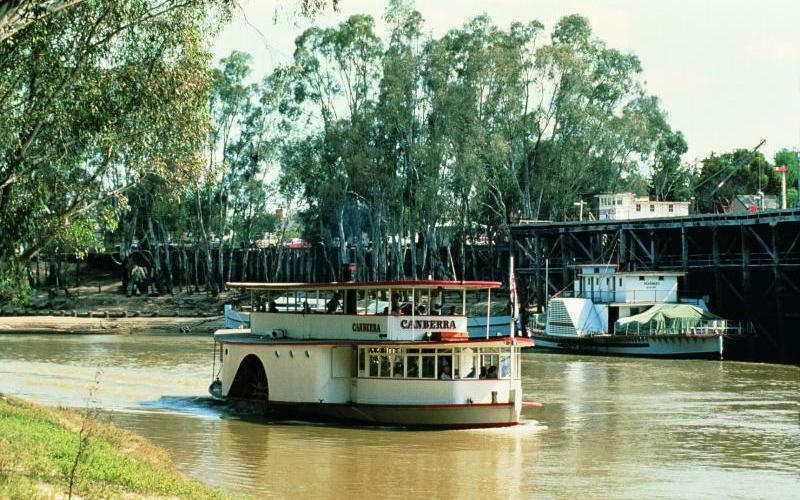 The longest river in Australia, the Murray River is a treasured natural beauty. 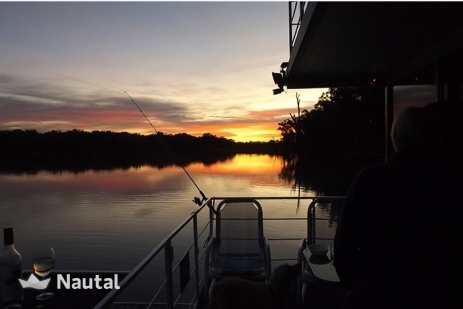 The river is the main landscape where you can find one of our favourite and unique boating rentals in Australia, the houseboat. A houseboat is a motorized boat with two or more bedrooms, that has the structure of a house; but can also sail. Some are privately owned while others serve as a primary house or a holiday home getaway. 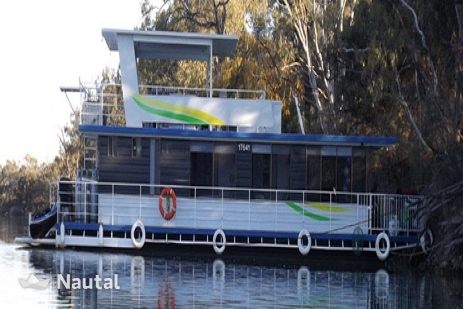 Be sure to check out the houseboats we offer in Victoria, Australia. From our experience, it is a most enjoyable activity for all the family. A classic Murry River Houseboat. Do you want to see penguins in their natural habitat? This wonderful island has a region that has a penguin parade and visitors can see penguins roam freely in their natural habitat, the way that it’s supposed to be. The island also allows you to visit a Koala conservation centre. Here, you can see this local animal up close and discover the interactive displays in the new visitor centre which lets you learn about your favourite animal. Everyone knows that Australia is a country where sailing is part of the Australian’s way of life. Victoria is no exception to this rule! Melbourne really knows how to take advantage of its location on Australia’s largest bay. It offers ample opportunities to learn to sail, take a leisurely cruise, or head out into the open waters of Port Phillip Bay. Enjoy the peace of the Marvellous Murry with these stunning views! Melbourne’s top temperatures are usually in the summer, with January and February averaging 28 degrees celsius. These months are mostly dry, with hot spells during the day and cooler temperatures at night. On the other hand, June and July are the coldest months with an average temperature of 10 degrees celsius. September and October are the months with the most rainfall throughout the year. The main airport that services Victoria is Melbourne Airport (also known as Tullamarine Airport). It is located less than 25 kilometres from the city centre. Victoria has more than ten domestic airports that will take you closer to the spots you want to reach. Victoria, as its meaning in Spanish (win), is a complete win when you immerse yourself in everything this state has to offer. We would love to know if you have any favourite spot in Victoria. Share your experiences in the comments box below!